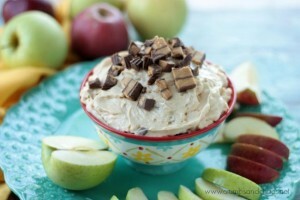 An easy, any time snack is never far from my mind. 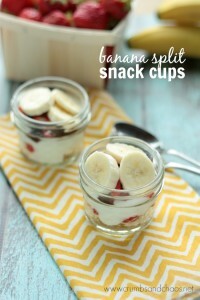 While I’m always in the mood for something new and different, I love snack combos that are familiar too. Crackers are something we keep on hand all of the time. 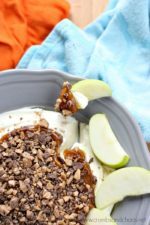 They are ready to pair with a simple dip as a last minute appetizer or are always ready to be topped with something more to make snack time delicious. 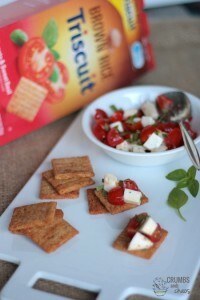 To make this simple afternoon snack, you’ll start with 2 Triscuit crackers. 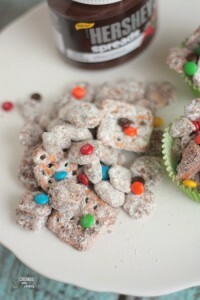 Spread them with a teaspoon of regular cream cheese. 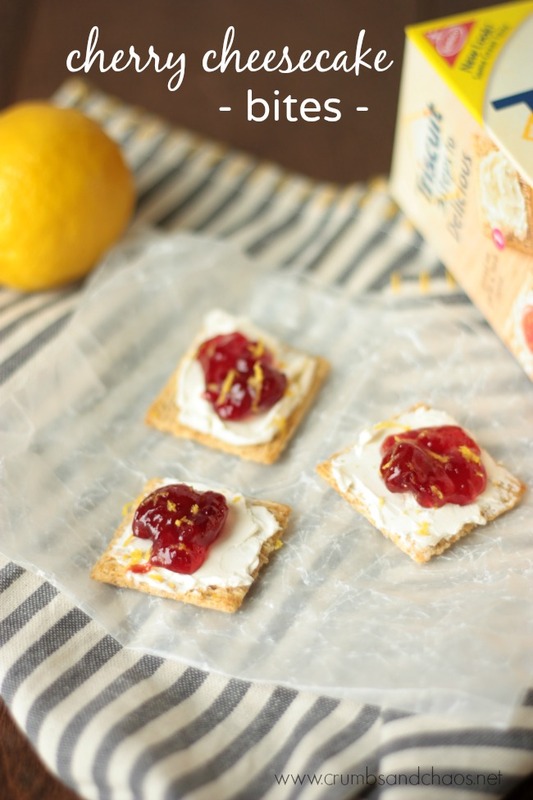 Top each cracker with 1 1/2 teaspoons of tart cherry preserves and finish by grating a little lemon zest on top. 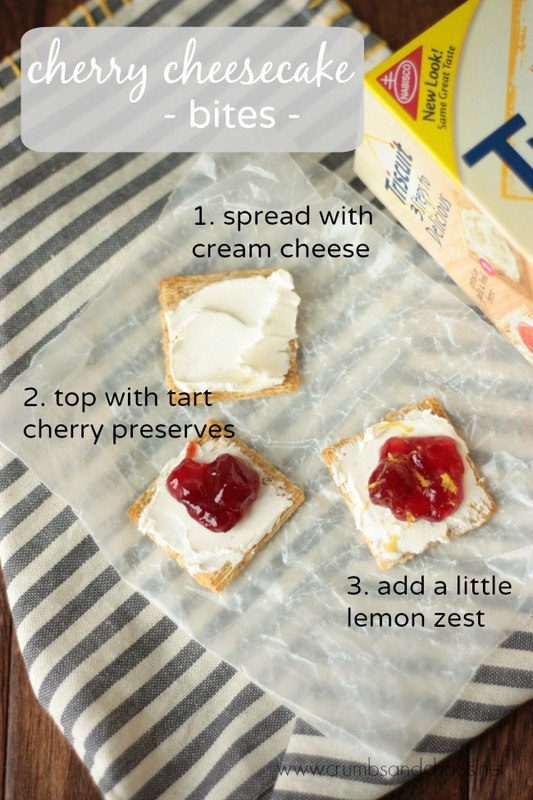 All the flavors of a delicious cherry cheesecake in a quick, handy snack. 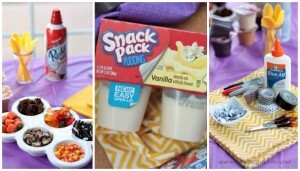 Suggested serving size is 2 topped crackers per person, so multiply as needed if you want to make this easy snack into a sweet treat for your next get together. I love living in southwest Michigan and being able to pick fruit all summer long isn’t something I take for granted. One of my favorite things to pick is tart cherries. The state of Michigan produces about 75 percent of all of the tart cherries grown in the US. I love making cherry pie or using tart cherries to make a sauce to top a cheesecake. The inspiration for these Cherry Cheesecake Bites comes from my love for cherries and cheesecake. 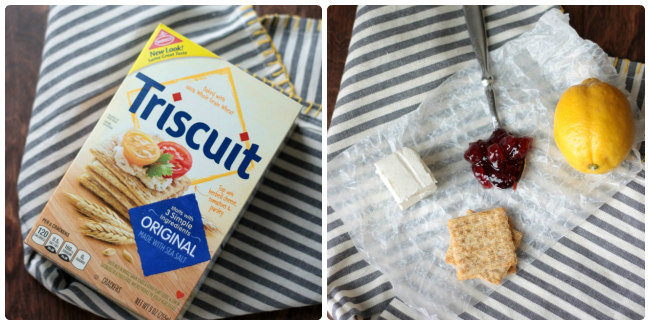 A dessert usually reserved for special occasions undergoes a snack time makeover and it all starts with a Triscuit – a pantry staple that wants to shine outside of the ordinary meat and cheese platter.